When a child feels secure, they will gradually stop looking for approval from the people they meet. 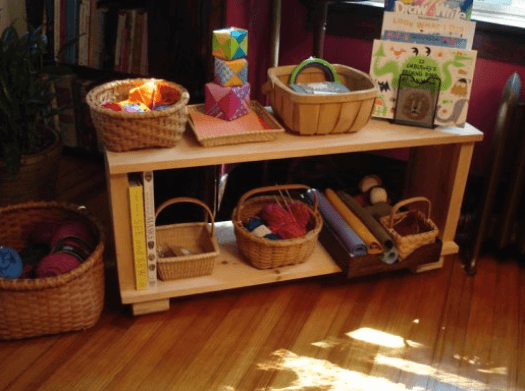 This idea from Maria Montessori gives us a simple example of how we can help our children not only become more independent, but also feel happier. However, many people today still do not support this pedagogical legacy, which was left to us by this famous Italian philosopher and teacher. These principles that focus on enhancing the child’s intellectual and physical intelligence are seen by many as risky. Letting children create and discover their own learning is out of the ordinary for many people. As adults, we are the guides who can help children discover everything that they are capable of. Each child has their own learning pace and needs, and it just takes being respectful and intuitive to their needs for them to develop harmoniously and above all happily. On the other hand, in addition to maximizing our children’s development, we all want our children to learn to be responsible and independent. When we talk about independence, we are not suggesting that a 6-year-old act as if they are 10. What we want is for children to be empowered and accept the appropriate responsibilities for every age. Getting there is a challenge, and we will also grow with them as mothers and fathers. We will start by offering you this simple and remarkable advice: If you want an independent child, give them some autonomy. We know that the idea of “autonomy” can present a problem for many moms and dads. Does that mean that we must give them all of the freedoms that they want? Not at all. It is about trusting our children and allowing them to grow according to their age and their own individual characteristics. There are moms and dads who strive to give their children the best every day. They take care of everything for their children. They tie their shoes, they clean up their toys, they get their backpack ready for school, they comb their hair, they dress them… Everything has a limit, a balance and a purpose. There comes a time when your children must take the plunge and stop being babies in order to become kids. Something like this will certainly cause them to start making their own demands. Therefore, there is nothing better than making it clear to them from the beginning: growing up and being independent means being responsible, and to be responsible you have to prove what you are capable of doing. Here are some strategies based on Maria Montessori‘s methods. Maria Montessori established what are known as sensitive periods. These are moments when children have the maximum learning potential, and when they are more receptive. As parents, this is the best opportunity for us to guide them. The second and third years of your child’s life are very special. They start communicating, asking for things, discovering their world, and want to touch everything. This is an ideal time o give them their first responsibilities. However, these responsibilities will still be supervised by us. They can start dressing themselves; they should learn to put their toys away, help set the table, to take responsibility for their things, and to take care of them so that they do not break. It is imperative that we make them participate in chores around the house. Your child is a part of the home and must understand that we all have responsibilities. An essential piece of advice once your kids reach this age is to adapt your home furnishings to them. Within their abilities, they can and should do many things. For example, we can get a stool for the bathroom so that the child can start to comb their own hair, brush their teeth, and groom themselves. They should feel like they can participate in a useful and above all safe way in order to see that they can do many things and do them well. In order to encourage a child to feel independent, it is essential that we provide them with positive reinforcement. Positive emotional support will help them grow in happiness and safety. Between the ages of 7 and 8 a child can do a lot of things. However, they will sometimes think that they are capable of much more than they really are. It is necessary to encourage them, but also give them good advice. At this age your child should be completely responsible for their own things, both at home and at school. They must also prove to us that we can trust them. Based on this trust, the child will gain more independence. At the same time and just as importantly, we must take something basic into consideration. Not all children mature in the same way. This is why certain responsibilities will not be given to children who are not yet able to handle them. It should not be forced. For example, if an 8-year-old is very forgetful, restless, and unfocused, we cannot give them the responsibility of preparing their own lunch every day and put it in their bag. They will most likely forget this. We must supervise them, and we will do so discreetly and affectionately. Little by little, every day they will mature and achieve great things on their own.